WarpRider – I haven’t gone back to check if Gorguts made my honorable mentions list for 2013’s Colored Sands. I think they might have, but if not they were very close. I thoroughly enjoyed the album, the brutality, the technicality. It was my first taste of the band. 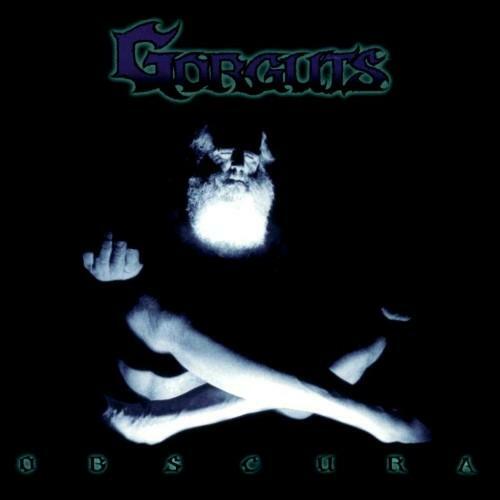 1998’s Obscura is the subject of this retro review and another Gorguts album I have not heard until now. But, since hearing it I wish I could say I en joyed it as much as I enjoyed their latest work. What throws me off is that it registers as too chaotic. Obscura does have moments where technical metal and death metal unite cohesively albeit briefly, but for the most part I can’t seem to concentrate on hearing everything in the songs. For me, it’s not too harsh, too heavy, or even too technical. All of those elements combined aren’t meshing well for my liking. I am glad to hear it, but I will stick to Colored Sands for my Gorguts fix for now. RiffRaff – Chaotic, difficult, abrasive, and thoroughly uncomfortable. Not as listenable or fluent as their Mandala inspired Colored Sands, but Obscura deserves your attention much like one needs to watch films like Eraserhead. There’s something fascinating in the discomfort. So, cut the bandages, though you may not want to linger in the madness lest the insanity takes you in. Irmelinis – My ears and brain loves a good unpleasant listening challenge from time to time, something that breaks boundaries and gives me new perspectives in music. This is one of those records. It’s stubbornly difficult to digest, and it might drive you insane before you start to appreciate the abstract grooves and bizarre rhythms. Obscura twists and turns relentlessly between death metal, funk, sludge, drone and jazz with creepy guitars and bass-driven percussion. The beautiful lyrics are of the spiritual kind, poetic with the essence of Eastern religions. Despite its soul-crushing hopelessness and the close associations with death, this album makes me feel more alive. ChristopherMammal – I’m obviously less of a metalhead than I like to think I am. Gorguts is too hard and harsh for me. I must be too much of a hippie, what with my taste for prog rock, jazz and the prog, melodic, atmospheric and symphonic variants of death, doom, folk and black. Dare I admit that I couldn’t listen all the way through “Obscura”? My brain isn’t wired for the relentless, same-sounding (to me) brutal death metal of the 1990s. I honestly thought I would enjoy this album. In honesty, I can’t give it a rating, however good it may sound to others. 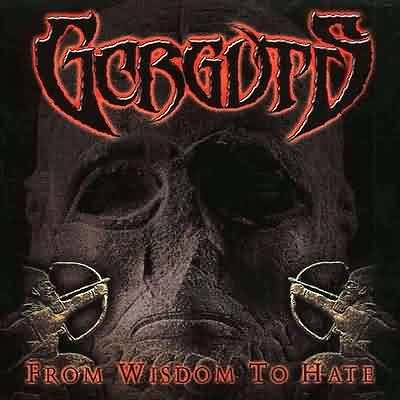 Re-releases of Gorguts classics “Obscura” and “From Wisdom To Hate” will be out on Century Media on April 6th (Europe) and April 7th (North America). The liner notes will include the story behind the band and both of the albums. Dedicated to the memory of former Gorguts members who are no longer with us; Steeve Hurdle and Steve MacDonald. Rest in peace. Posted on April 6, 2015, in Album Reviews, Retrospectives and tagged Gorguts, Retro album review, Roundtable Retro Album Review. Bookmark the permalink. Leave a comment.